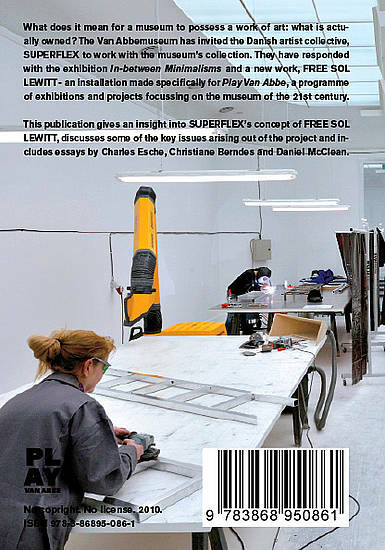 The Van Abbemuseum has invited the Danish artist collective, SUPERFLEX to work with the museum’s collection. 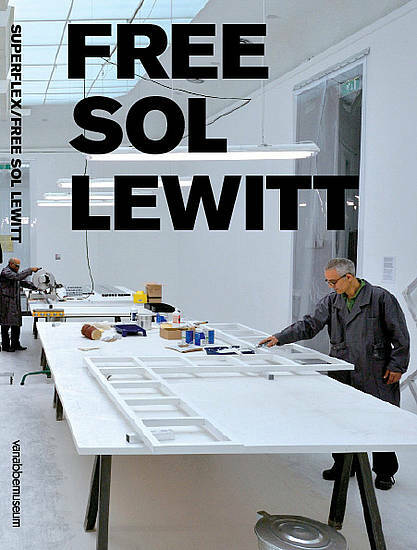 They have responded with the exhibition In-between Minimalisms and a new work, FREE SOL LEWITT – an installation made specially for the second part of Play Van Abbe. The museum is sometimes described as a prison in which the artwork is ‘locked-away’ like a criminal. With FREE SOL LEWITT, the artists playfully ask the Van Abbemuseum to ‘set free’ the work of the American artist, Sol LeWitt, Untitled (Wall Structure), 1972. The copy machine In the FREE SOL LEWITT workshop a couple of workmen work daily on reproducing LeWitt’s Untitled (Wall Structure). LeWitt commissioned a company to produce the work in 1972. Now in 2010, LeWitt’s work is being reproduced in a museum room, where four tables have been set-up. 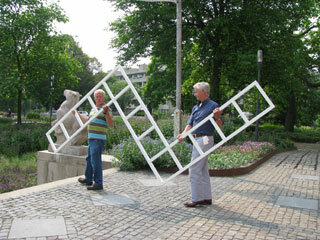 Here, workmen cut the aluminium, weld it into a lattice structure, sand this form and then paint it white. The copies lie stacked in a corner awaiting their new destinations. They will then be distributed free-of-charge to the public through a random system which visitors to the museum can sign-up for. See the images of visitors whose forms were randomly selected and who picked up their copy.